Some days it’s all you can do to find your faith to get you through life–other days you surprise yourself that you have such great faith. 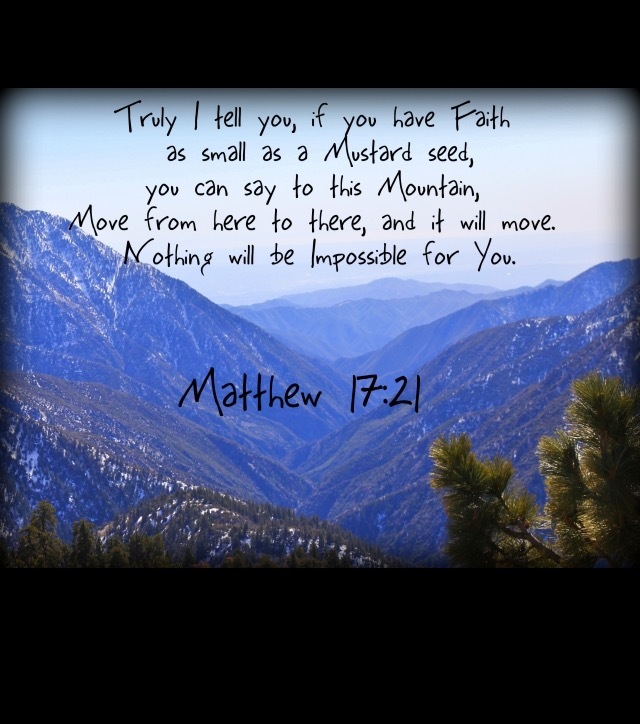 In Kara’s favorite scripture below, is an example of the importance of developing your faith. You just keep at it, and begin with the tiniest bit and trust God will compensate where you are inadequate in your belief. The important thing is to BELIEVE! God will help develop you as you do! Have a blessed Wednesday, all —you can do this!